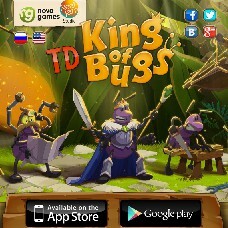 It’s a beautiful tower defense game for iOS and Android (as well as for tablets) which has the addictive storyline and advanced features. Did you know about the existence of a world that lives in parallel with ours? Just look down and you will discover a whole universe filled with the true human emotions: love and courage are side by side with treachery and deceit. It is the Universe which inhabitants are ready to fight for their home and freedom.